Third Squad detectives are investigating a Robbery that occurred on Tuesday, December 23, 2014 at 5:05 pm in Westbury. Westbury, NY - December 24th, 2014 - Third Squad detectives are investigating a Robbery that occurred on Tuesday, December 23, 2014 at 5:05 pm in Westbury. According to detectives, while in the parking lot of 1250 Old Country Road and loading packages into her vehicle, the 63 year old female victim was approached by a female Hispanic and a male black subject. After reaching into her car and removing the victim’s pocketbook a struggle ensued to regain her property. The female subject then began punching the victim about her head causing her to fall to the ground. The male subject then gained control of the pocketbook and both subjects began walking away. When the victim began to follow the subjects, the male turned around and displayed the handle of a gun he had in his waistband. The victim then returned to her car, drove to a local bank where 911 was called. The victim, who was transported to an area hospital for treatment of swelling and minor facial injuries, described the male subject as being 5’6” tall and weighing about 190 pounds. The female subject was 5’4” tall and weighing about 130 pounds. 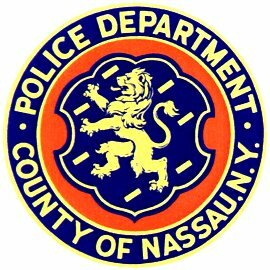 Subject: LongIsland.com - Your Name sent you Article details of "Westbury Senior Mugged While Loading Car in Parking Lot"